I love fish and try to cook it at least once a week. 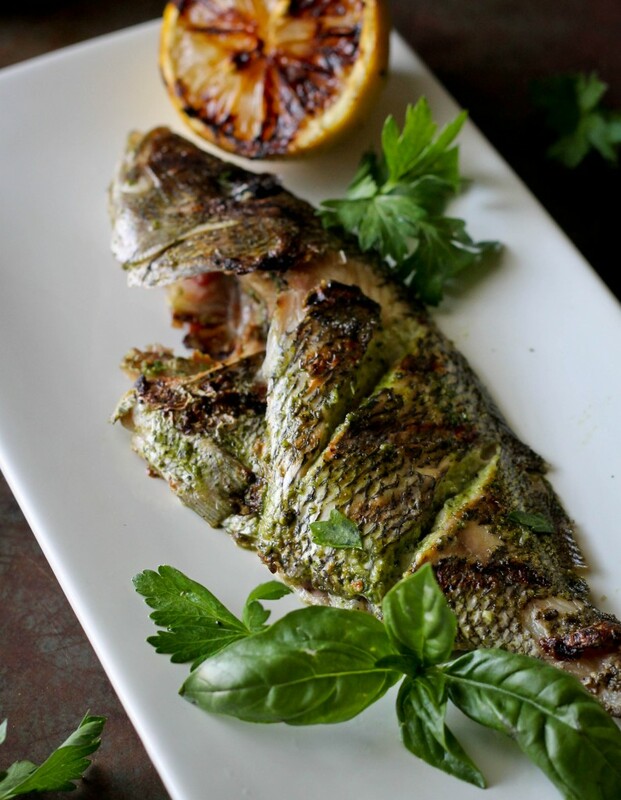 I’ve been cooking more whole fish lately and was thrilled that it’s warmed up enough for me to pull out the grill. 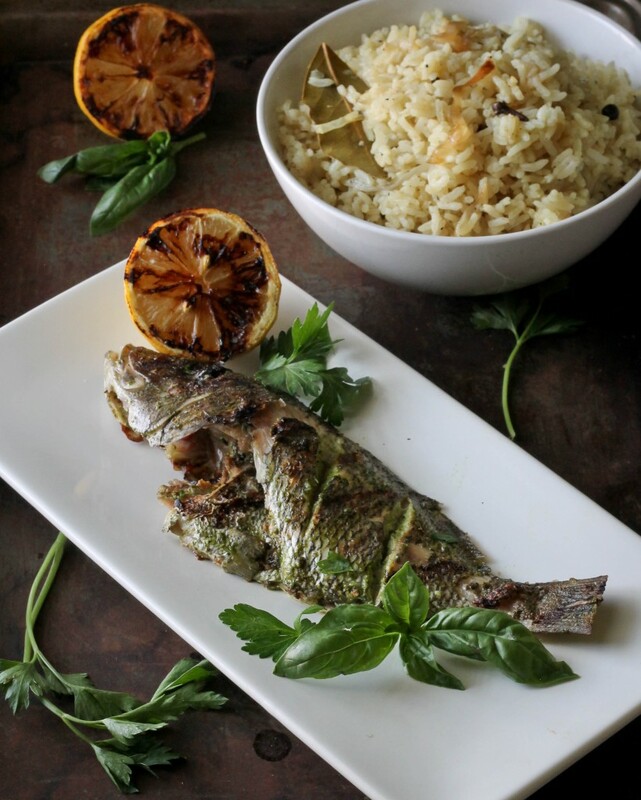 On a recent shopping trip to the farmers market I spotted white snapper and thought it would be perfect on the grill. The fish was marinated with a marinade that I’ve been using for a few months on different types of fish and it is tasty! 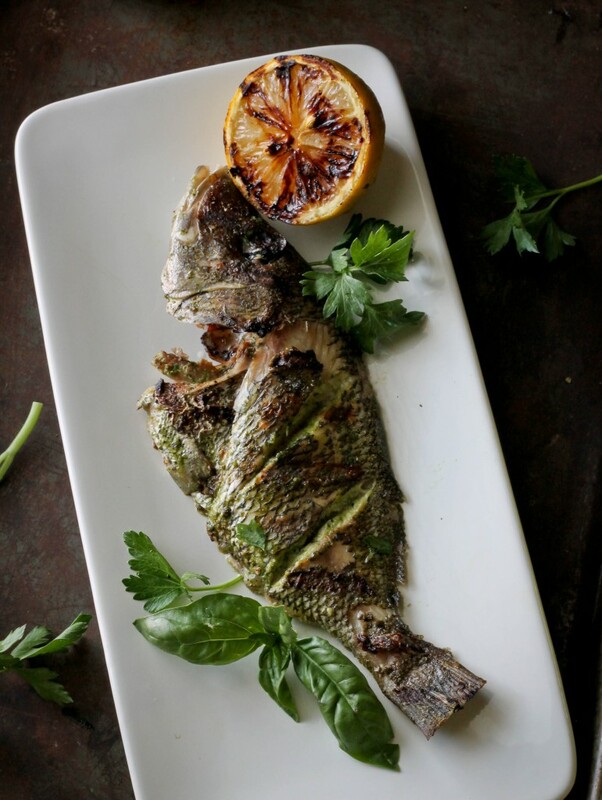 Orange juice, lemon juice, basil, parsley and a few other ingredients are blended together to create a light citrus marinade that gives the fish a burst of freshness. I’ve only used it on fish but it would be perfect on other seafood like shrimp; I plan on using it to make shrimp kebabs soon! Cut 2-3 slices into each side of the fish. Place cleaned fish in a pan in one layer. Place all other ingredients in a blender and blend until smooth. Pour marinade over the fish the rub the marinade inside the fish as well as in the parts that were sliced. Cover and place in the refrigerator for an hour. Grill on a well oiled grill over direct heat for 7-10 minutes on the first side and about 5 minutes per side. Serve immediately.